Kate Morgan, a single mother, lives in the small town of Storyville, Ohio, where she grew up. A want-to-be author, she works as a sales clerk in the town’s only department store doing what she describes as “a job a monkey could do.” Although she’s bored with her job, she’s reluctant to consider making any major changes in her life. However, she’s about to find out that change is inevitable. When Kate’s ten-year-old daughter, Mandy, tells the family she plans to do a family tree for a school project, the negative reaction of Kate’s parents and grandmother shocks her but also arouses her curiosity. Why are they so against Mandy’s project? Surely her family is too “normal” to have any skeletons in their closet. Kate decides to support her daughter even if that means defying her parents. As she searches for the truth, she discovers some long buried secrets that, if she decides to reveal them, will change her life and the lives of the people she loves – forever. “We all know that laughter is cathartic. No matter what’s going on in our lives and in the world, a good laugh or even a chuckle has the power to make us forget about whatever challenges we’re facing if only for a short time. The more we laugh, the better we feel. I pushed the button on my radio for our local oldies station. As I drove back to work, I cranked up the music and sang along to the strains of Frosty the Snowman. The song reminded me of the “anatomically correct” snowman Bobby had built in our front yard when we were in our early teens. As long as I lived I would never forget the expression on my mother’s face – a combination of shock and rage – when she pulled into the driveway that day and saw the snowman. She slammed her car door, stomped over to us, grabbed one of the two carrots Bobby had used – it wasn’t the one for his nose – and tried to pull it out. That carrot must’ve really been stuck because she yanked and yanked before it came out in her hand. Bobby and I exchanged glances, trying so hard not to laugh out loud because we knew better than to do that. Somehow we managed to control ourselves until my mother had stormed into the house. Then we both lost it. Thinking about it now as I drove back to work, I couldn’t stop laughing. Patricia Gligor is a Cincinnati native. 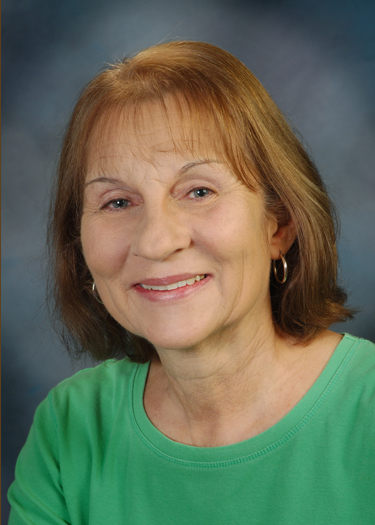 She has worked as an administrative assistant, the sole proprietor of a resume writing service and the manager of a sporting goods department but her passion has always been writing fiction. 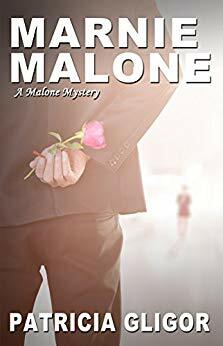 Ms. Gligor is the author of the Malone Mystery series: Mixed Messages, Unfinished Business, Desperate Deeds, Mistaken Identity and Marnie Malone. 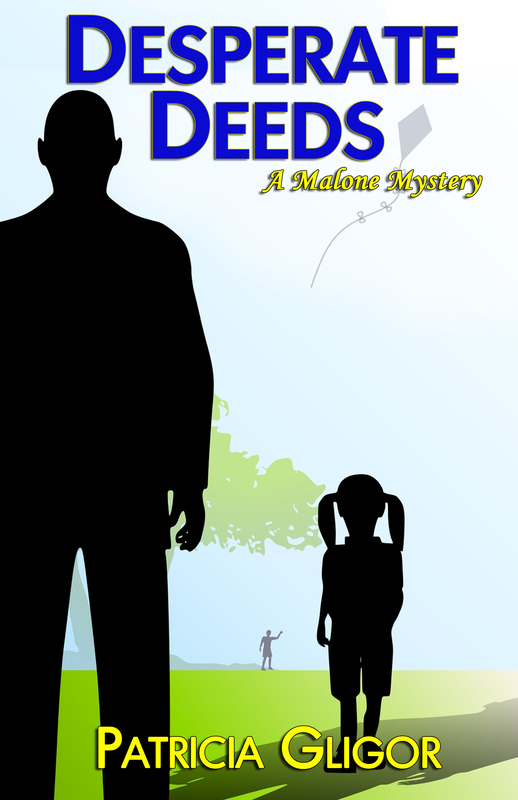 Secrets in Storyville, a small town mystery, is separate from her series. I have Secrets in Storyville on my Kindle and I’m eager to start it. Best wishes, Pat! The book sounds great. 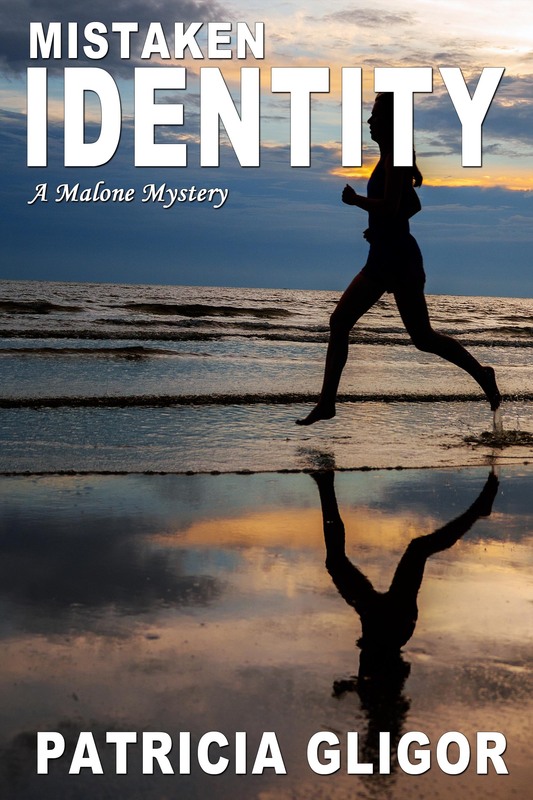 This entry was posted in Author Spotlight, Guest Blogger and tagged Desperate Deeds, Malone Mystery series, Marnie Malone, Mistaken Identity, Mixed Messages, new release, Patricia Gligor, Secrets in Storyville, Unfinished Business. The excerpt you shared is literally laugh out loud funny. I must get this book. Oh, so many TBRs and this is going to the top for that day I need humor and laughter. Wait! I always need that. So looking forward to this one. I’m glad you enjoyed it! Pat writes great books. Secrets in Storyville is queued up on the Kindle–up next! 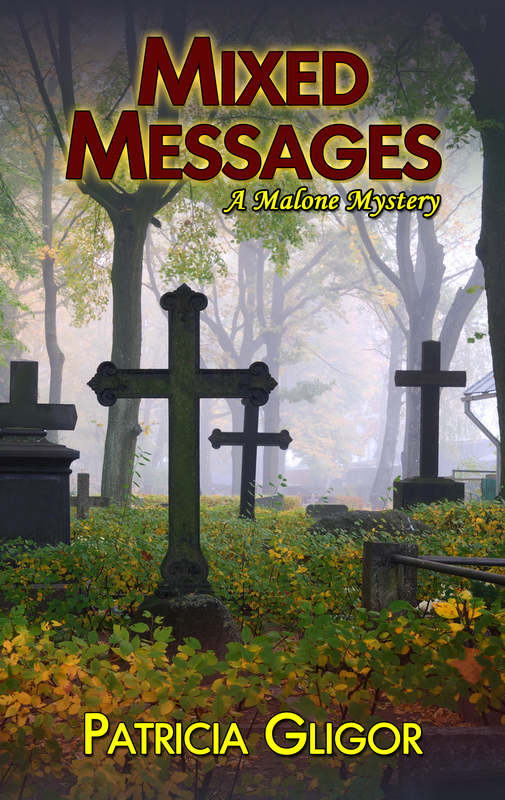 If you haven’t sampled Patricia Gligor’s mysteries yet, Now is the time! Pick one from the list below. Thanks, Amy Reade, for this article. I can’t wait to read mine! Thanks for stopping by, Lynne! Check out the new release by author Patricia Gligor. Secrets in Storyville is featured in this post on the Reade and Write blog. Thanks very much for the reblog, Don! Secrets can really keep a story moving, as is the case with this book. Most enjoyable! It’s on my list. I wish you much success, Patricia. I hope you’ll check it out. 🙂 Mystery, humor and a “touch” of romance, which is integral to the plot. Another one to add to the TBR list. Congrats on the release, Pat. With the interest in genealogy, this sounds like a natural. Thanks for your comment, John. I think (hope) you’ll get at least a couple of good chuckles when you read SIS. That TBR list never seems to get any shorter, does it?? 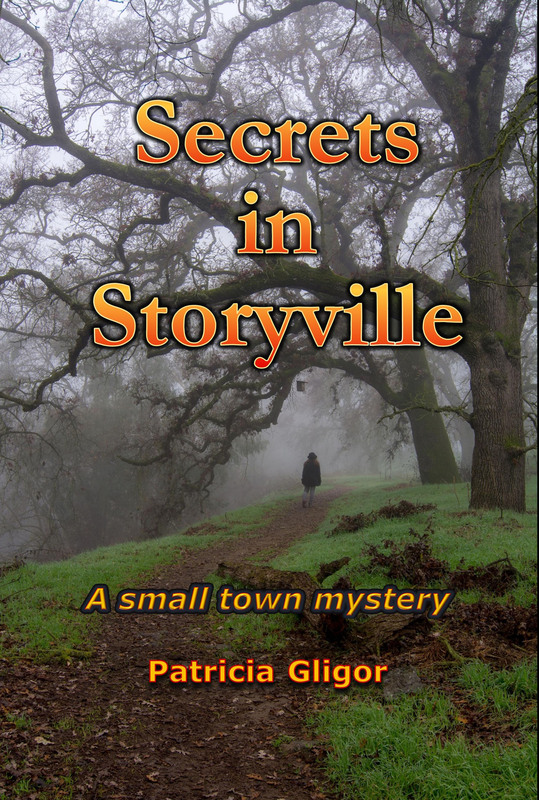 Read all of Pat’s books… and I am working on, Secrets in Storyville now. Due to my vision issues, it is taking me a bit longer…But, I already know that this is a 5 Star book. Love Kate! Have a wonderful day ladies! You just put a big smile on my face. Thank you! You are an author’s dream! You’ve read all her books, no doubt you’ve reviewed them, you share posts and good news. Thanks for being you!! Have a great Tuesday. Amy, I completely agree with you. Sharon is awesome!!! I’m seven chapters into the novel and totally absorbed. 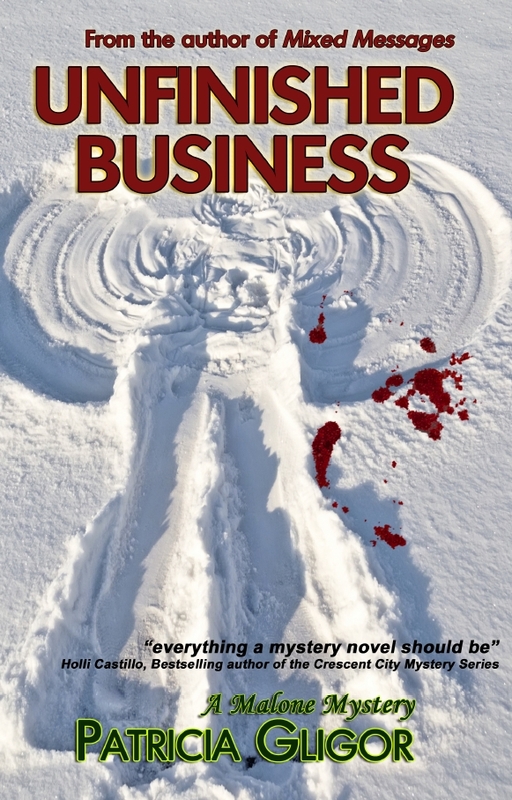 I would never know this book is self-published because it’s so professionally written, as good as any Big Five novel. I’m excited about finishing the book and wish I could just sit and read non-stop. It’s a mystery I don’t want to put down. Thank you! Thank you! Thank you, Jacquie! Thank you for inviting me to be your guest today. The publication of “Secrets in Storyville” was another milestone for me. It was the first book I self-published, which was a daunting but very worthwhile endeavor. I hope you enjoy the book! Pat, I’m so happy that you could be my guest today. You are welcome any time you want, and I wish you lots of sales with the new book!